Cameron Peron is a marketing and growth expert who helps cloud and developer facing startups to grow. 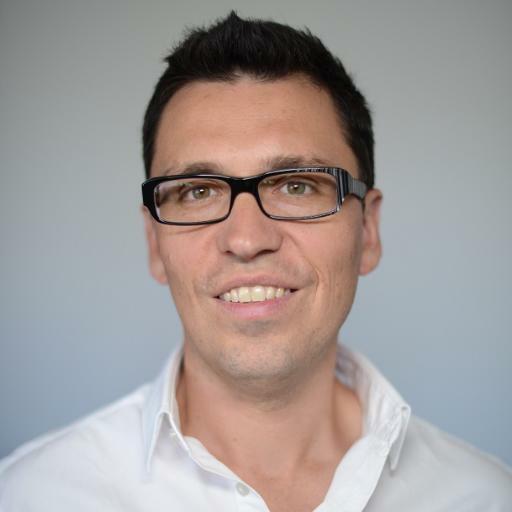 Previously, he was VP Marketing at Redis Labs and Newvem (acquired by Datapipe), and Co-Founder and VP Business Development at AdClarity. Follow him @cameronperon. Short version: AWS is here to stay and shows no signs of slowing down. Long version: Forget about Uber destroying jobs. Newborns today will learn in school how AWS changed innovation, human longevity, and their own opportunities to do things. How many people does it take to turn on a $13 billion dollar light bulb? 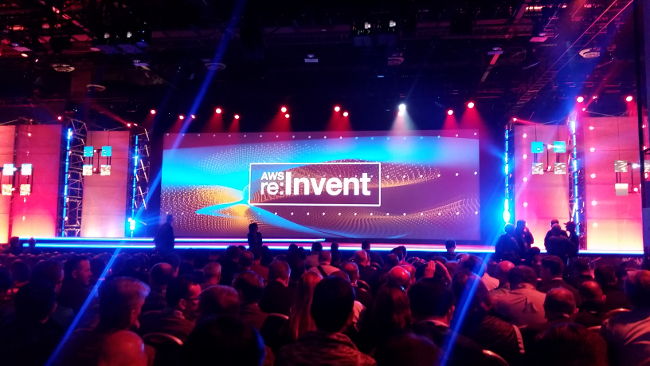 This year, it took more than 30,000 attendees at Amazon Web Services’ (AWS) 5th annual event in Las Vegas: AWS re:Invent. With more than a 55 percent growth rate year over year and 3 new capabilities launched on average every day, AWS is a force that seems nearly impossible to slow down, let alone stop. AWS Shield for protecting applications from common and frequently occurring DDoS attacks. In 2012, roughly 6,000 people came to re:Invent, which was held in a sparse room in the Sands Expo hall, to meet and greet startups and internet enterprise developers. Now these rogue developers have bloated 4x in volume and more importantly, they have a well sought-after and deadly skill set: knowledge and experience in building top performing, highly scalable, highly available, and cost-effective environments using AWS. It’s a simple supply and demand situation. There are multiple Gartner magic quadrant IaaS providers speaking about revenue and growth. But the real catalyst to revenue isn’t sales but the army of talented developers that are choosing AWS certification and experience over other cloud providers to increase their pay grade and opportunities. Why would you choose anything else? If there was one vendor singled out at re:Invent this year it was Oracle. Referenced both indirectly and directly in the day one keynote, Oracle was singled out multiple times and was the first competitor named specifically. This really isn’t too surprising. AWS is making it even easier to move those tricky mission critical deployments to comparable AWS services with AWS Aurora to easily migrate and scale your Oracle database deployments and giant shipping containers sitting on semi trucks to pick your on-premise environment and ship them to Seattle. re:Invent has consecutively held a vibrant expo hall with eager developers looking for professional services and technology to make the AWS experience even better. Announcements such as Amazon Batch, Shield, and Glue may make it more difficult for partners to compete in an ecosystem where the competition may include AWS themselves. Every partner in that room knows it’s not easy to compete with AWS solutions. Still, with the incredible year-to-year growth and diverse demand from internet and traditional enterprises, there is still enough demand by developers to look at agnostic and external solutions to solidify and scale their use of AWS for the time being. As I mentioned, I forget about Uber destroying jobs. Today’s newborns will learn in school how AWS changed innovation, human longevity, and their own opportunities to do things. Within 24 hours of returning home, my son was playing with the cool Amazon Alexa gifted to re:Invent attendees. About 48 hours later, he was already asking Alexa to play his favorite song. AWS is really changing the world, not in an abstract or theoretical sense but in a very real and practical application. Now any developer on AWS has access to the high-performing and cost-effective infrastructure with cutting edge machine learning, image recognition, and natural language processing services to build solutions to a wide range of challenges facing humanity. It’s not just for what movies to watch, but for education and health, too. AWS provides solutions on so many levels it’s simply a matter of access to and quality of data that businesses have to be successful. On that note, the development of enterprise software, both close and open sourced, is clearly coming to a turning point. Is it really effective to raise funds and chase after talented people to build a closed source enterprise solution? With innovation and fault testing coming out of the extremes (think Simian Army and EVCache from Netflix to Lambda from AWS), it seems that major advances in enterprise software will come out of internet enterprises that build their own homegrown solutions to meet extreme use cases and data sets or from companies (or company) like AWS that has the talent base and data to understand exactly what services developers need and when they need them to be rolled out. It begs the question: if you want to solve enterprise problems with tech, should you raise funds directly, solve a major problem and open source it, or just join AWS?